German prosecutors said Monday they had raided the home of Rupert Stadler, chief executive of Volkswagen subsidiary Audi, over suspicion of fraud related to diesel emissions cheating by the firm. 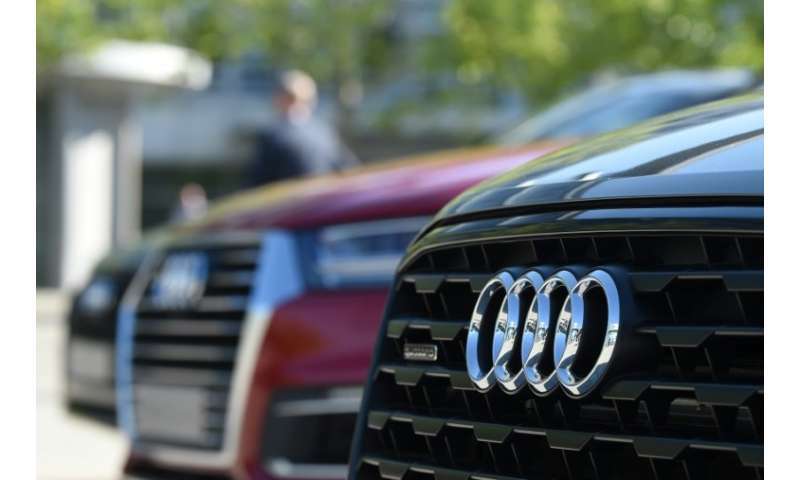 "Since May 30 the chief executive of Audi Professor Rupert Stadler and another member of the current executive board have been regarded as suspects," prosecutors in Bavarian capital Munich said in a statement. "They are each accused of fraud as well as indirectly falsifying certifications. This relates to bringing diesel vehicles fitted with manipulative emissions management software into circulation on the European market." The homes of both Stadler and the other board member had been searched Monday for evidence, they added. An Audi spokesman told AFP the firm was cooperating with prosecutors' investigation. The latest probe follows a mass recall ordered by German authorities earlier this month of some 60,000 Audi A6 and A7 cars across Europe to remove illegal emissions control software, while prosecutors raided offices and the homes of some workers in February, March and April. Audi's former head of engine development was also taken into custody in September 2017. Volkswagen admitted in September 2015 to manipulating 11 million diesel vehicles worldwide with software designed to reduce harmful emissions during testing but that allowed them to rise to many times legal limits in real driving conditions. Since then investigators have been trying to unravel who was responsible for the installation of such so-called "defeat devices". VW chief executive at the time of the diesel scandal Martin Winterkorn stepped down soon after the news broke, while successor Matthias Mueller was hastily replaced earlier this year. Both are suspected of knowing earlier than they have so far admitted about the cheating, meaning they failed in their duty to inform investors in the car giant about the financial risks. US prosecutors also indicted Winterkorn last month, saying he knew of the company's emissions cheating as early as May 2014 but decided to continue. Present boss Herbert Diess has been accused of knowing about diesel cheating before it became public—an allegation rejected by the firm last month. The scandal dubbed "dieselgate" has so far cost the world's largest carmaker more than 25 billion euros in buybacks, fines and compensation, and the company remains mired in legal woes at home and abroad. Other carmakers have also been forced to recall vehicles to fix manipulated software, although none has so far admitted to mass cheating as Volkswagen did. Dieter Zetsche, chief executive of Mercedes-Benz maker Daimler, is set for a grilling by German Transport Minister Andreas Scheuer Monday over irregularities in a number of the Stuttgart-based firm's models.